The Haiku art form is beautiful; it can even be stunning. The Haikus at Five Reflections so inspired me that I decided to post a link to my attempt at “Four Haikus” at my Litblog–Realm of Fay. FYI – David Fay is my birth name. I use it for my poetry, fiction, literary essays, etc. Please visit Five Reflections too. When we find something worth mentioning, isn’t it great to pass that along? 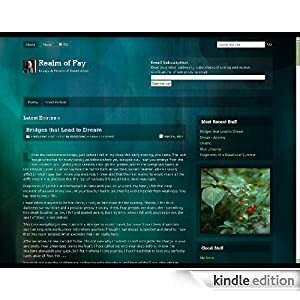 This blog, David’s Place and my Litblog, Realm of Fay are both available for your Kindle. Simply click on either title, it’ll take you to Amazon and a 15-day FREE trial. You might want to check out my wife’s blog Marcy’s Walk. Her blog is available on Kindle too at Marcy’s Walk on Kindle.